Berkley's Digger 8.5 crankbait gets deep quick and has an aggressive wobble and side flash. 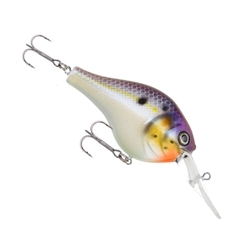 These crankbaits are best used to fish along grass lines or along bottom structure. The Digger captures the essence and action of artfully handcrafted wooden baits with exactness and durability from a synthetic science. - SLOW RISE - RATTLE - Weight: 7/16oz - Length: 2-1/2"